3LADY TALL VASE BLACK& WHITE was selected in a rigorous process by a group of judges for the National Ceramic Exhibition which is held every four years alternating between JHB and Cape Town. The exhibition is organized by Ceramics South Africa (CSA). Made by Vuyelwa Katshwa and painted by Nkuli Sam, the vase had silver luster added to it to give it extra sparkle. 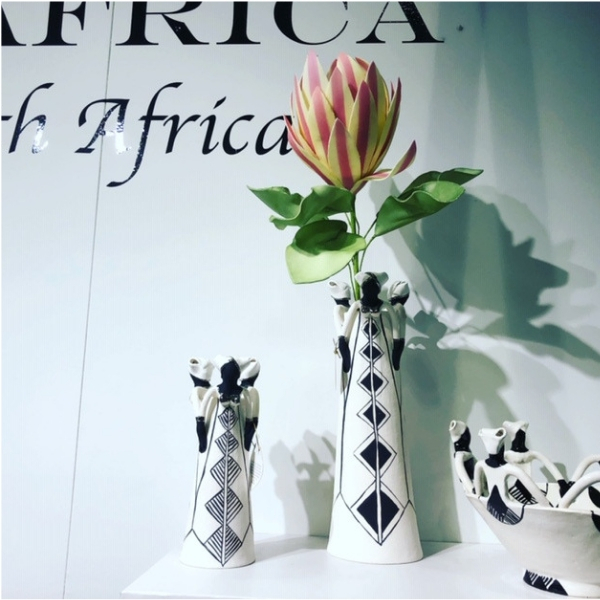 This year the Exhibition was held at The Rust en Vrede Clay Museum in Durbanville and opened by British Ceramicist Kate Malone on 11 November 2018.